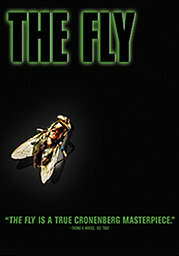 Seeing The Fly again after a couple of years, I was looking forward to checking it against my memory of a truly frightening film, maybe the first large-budget production by a director I really appreciated for his later films (I still find those early crazy horror movies of his a bit inaccessible ). I remembered well, this film is different, it marries the horror genre with mainstream drama, mainly by having great actors at its heart. Jeff Goldblum and Geena Davies are believable in the passion for what they are doing, and the ever-mumbling and charming Goldblum in particular may have had his greatest role with this. Narration may look a bit clunky from today’s perspective, and maybe make-up artists today would have a bit of a more subtle approach, but then again, this film is almost 30 years old… Another classic by Cronenberg, albeit in retrospect maybe more merging into his early oeuvre of splattery horror weird things, in a pretty clear contrast to the psychological thrillers Cronenberg got involved in around the time of “Spider” or “Naked Lunch”.